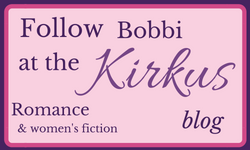 While I read romance all year long, August is the month we celebrate romantic fiction! 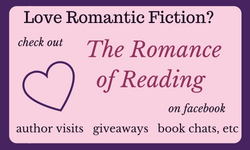 Come back every day to read the fun author Q&As – calendar here – and each weekday in August, we’ll also have an author guest hosting the Romance of Reading FB page. 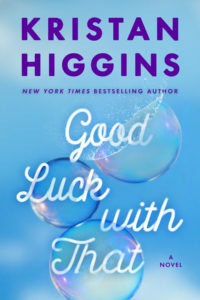 Today Kristan Higgins is doing the Q&A and Mimi Milan is on the page. It beats coal-mining (most days). I write because I’m fascinated by people and their inner demons, their choices, their justifications. Everyone has a great story somewhere in their lives, and I love hearing them. Growing up, I was the quiet kid in the corner, listening to the adults talking and kvetching, and I loved it. That’s never changed (except for the quiet part). 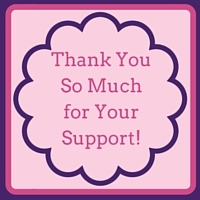 Well…I could say a couple of things: motherhood, writing books…because those take guts (especially the first one). But probably the bravest thing is simply trying to live an honorable life, day after day. It’s easy to complain, gossip, be a mean girl and give in to those petty demons. As a person, and especially as a mom, I want to be a good example, to have my kids say they could always count on me to do the right thing or be a kind person. And that’s tough, because it’s never-ending. Some days I fail, but I think and hope most days, I do pretty well. I try my hardest, and that’s all anyone can do. I love romantic relationships and what they signify to me…it’s not just finding the One; it’s earning the One. And having him or her be worthy of you, too. Plus, I love writing first kiss scenes. There’s something so powerful about that moment when you start on the path to physical intimacy. This morning, my daughter and I picked flowers and arranged them in a variety of little vases, then put them all over the house. On the marriage front, my husband pours my coffee every morning, and there’s not a day that I don’t appreciate that. The little things, you know? Stop being so hard on yourself. You’re perfectly fine just as you are. A greyhound can run as fast as a racehorse. They have the largest heart of any dog breed. If one character is being really pesky, I write all her scenes (or his scenes) first, then patch them into the story as needed. Well, I saw Hawaii for the first time ever this past summer, so I’d have to say Hawaii. Kauai, to be specific. The flowers! The mountains! The ocean waves! As a writer, I’ll never forget the first time someone cried when she met me. It was so heartwarming and special. As a reader, the most special thing was bawling in front of Toni Morrison and having her pat my hand and tell me I was lovely. 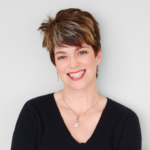 Kristan Higgins is the New York Times, USA TODAY, Wall Street Journal and Publishers Weekly bestselling author of 18 novels, which have sold millions of copies and been translated into more than two dozen languages. 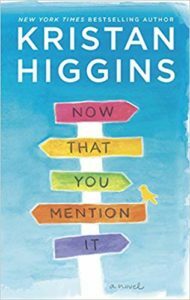 Her books have received dozens of awards and accolades, including starred reviews from Kirkus, The New York Journal of Books, Publishers Weekly, Library Journal and Booklist.